Domestic and Import/Export cargo are picked up and delivered by 40 drivers with straight trucks and trailers. Being a TSA certified facility we work with many different exporters handling a diverse group of commodities. 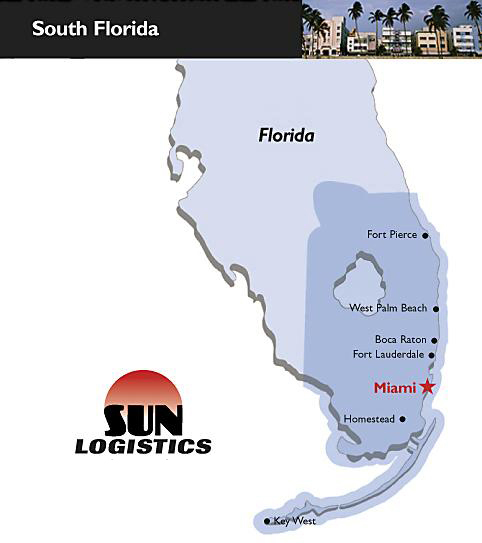 All Sun Logistics drivers are hazardous materials certified and most have been with the company for over 15 years.